One of the trickiest parts of having a girl-boy shared bedroom was trying to keep it non-girly but also adding feminine touches for Piper Jane (since it was her room too, afterall). Mostly, those touches come in the form of sparkles. 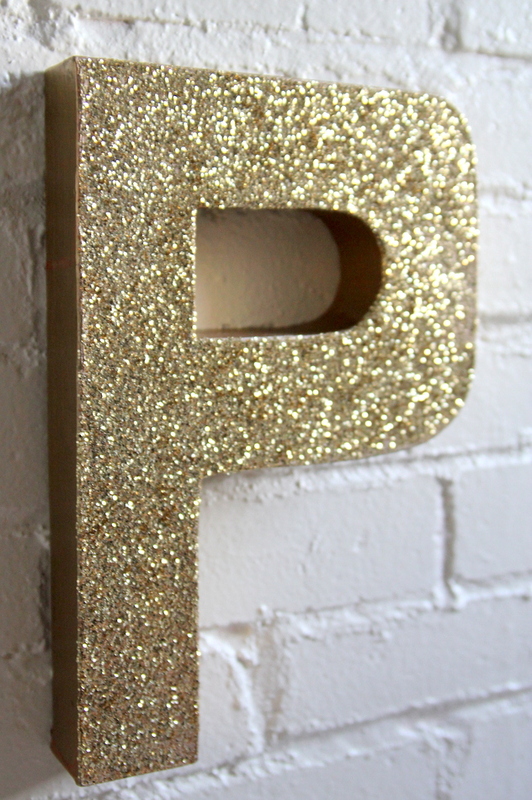 My personal favorite was the glittered P monogram hanging above her bed. 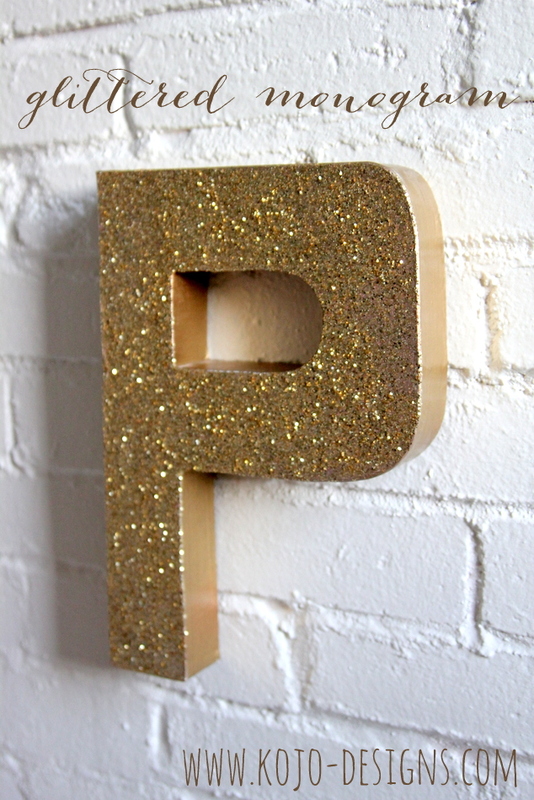 I’m sure you’ve caught on to my glittering process by now, it’s pretty much always the same. 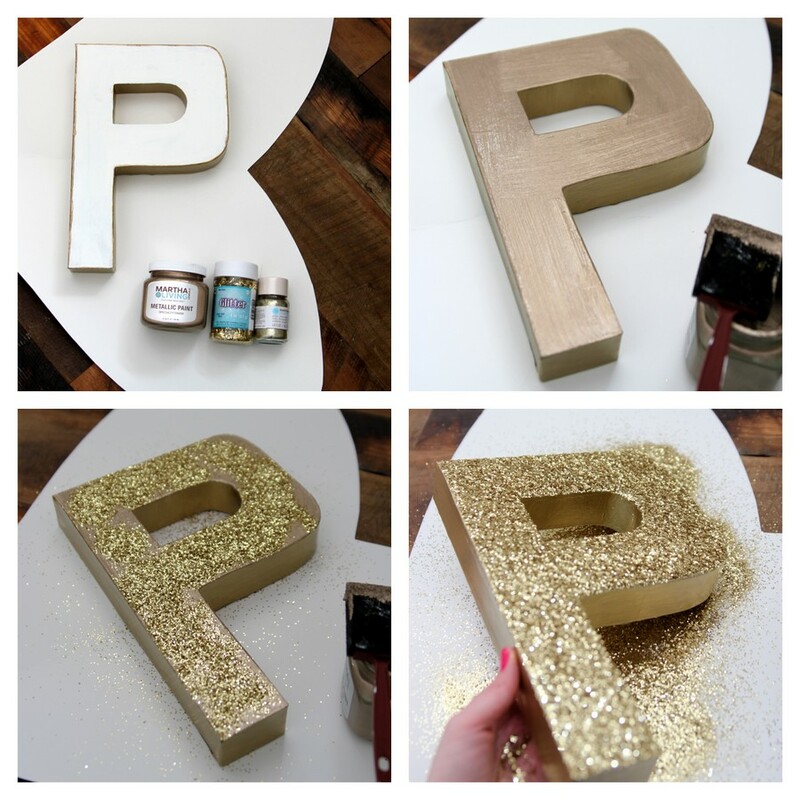 I paint with metallic paint, add glitter while the paint is still wet, shake off the excess, and then, when dry cover the entire thing in clear glossy spray paint so the pieces of glitter don’t shake off. 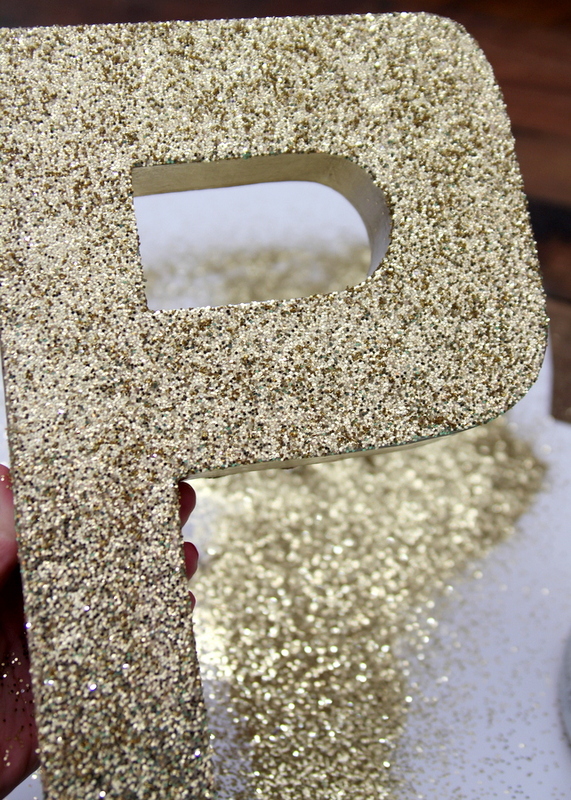 Same process here to create the extra sparkly P- glitter, seal, done. Looking at these pictures makes me wish I’d brought this little gem to Saipan- especially since one nearly-four-year-old has requested ‘sparkle’ as her birthday party theme. 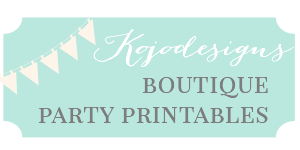 Maybe I can recreate something similar here?